The zBoost dual YX545 & YX550-ALTE-AWS kit has been discontinued and replaced by the new and improved Wilson 460101 DT4G. The zBoost dual YX545 & YX550-ALTE-AWS kit is a quad-band signal boosting system that will amplify the signals used by all major carrier's 2G and 3G networks in North America plus AT&T and US Cellular's lightning fast 4G LTE network and all networks using the AWS frequency including T-Mobile's 3G and 4G network, MetroPCS, and Cricket Wireless. This system will cover an area of up to 1500 to 2500 sq ft depending on existing signal strength and the installation method (see the installation instructions section for more information). AT&T and US Cellular's new 4G LTE networks are incredibly fast and makes browsing the Internet much more enjoyable where available. However, 4G LTE is only currently used for data connections and not phone calls. 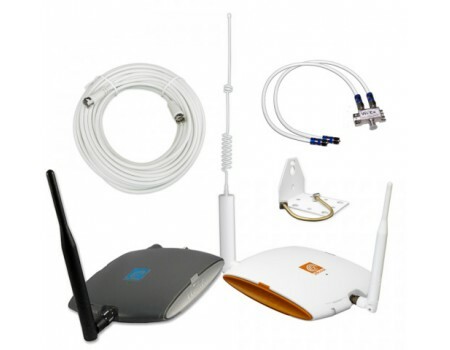 With this dual-amplifier kit, you can boost both the 4G LTE signal for maximum Internet speeds while also boosting the 3G networks so you get clear conversations with no dropped calls. T-Mobile is in the process of deploying their new 4G LTE network and when they do, they plan to migrate their 3G network to a different frequency. While the new 4G LTE network will give you fast data, it won't support voice calls, so you'll still need a boosted 3G signal as well. 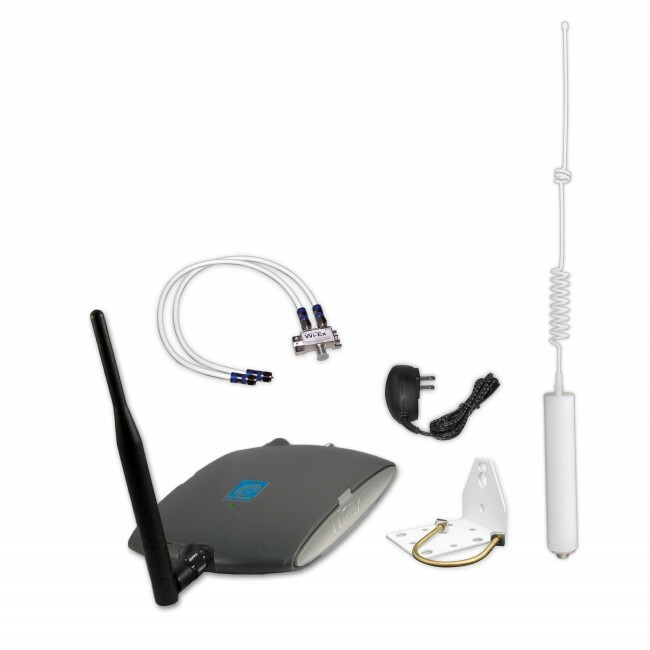 This kit gives you both the dual-band booster to support clear conversations with no dropped calls as well as the AWS booster to give you fast 4G LTE and HSPA+ access. 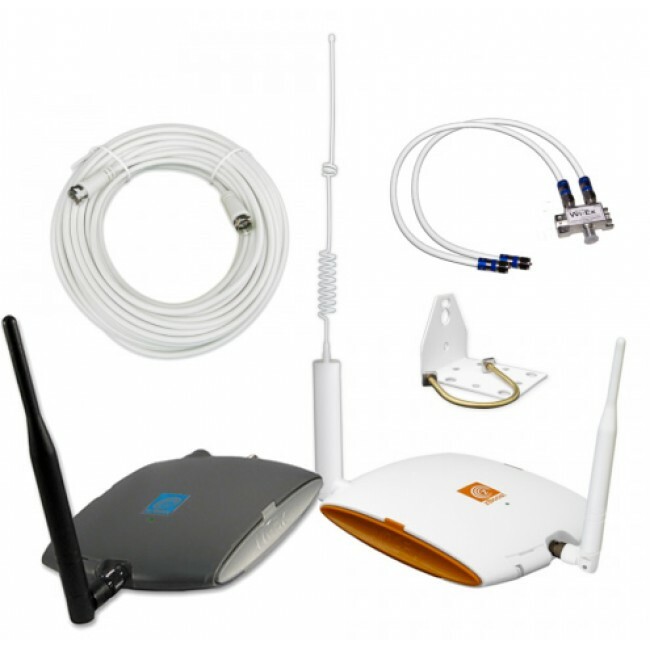 The zBoost dual YX545 & YX550-VLTE-AWS kit is a combination of two separate kits. 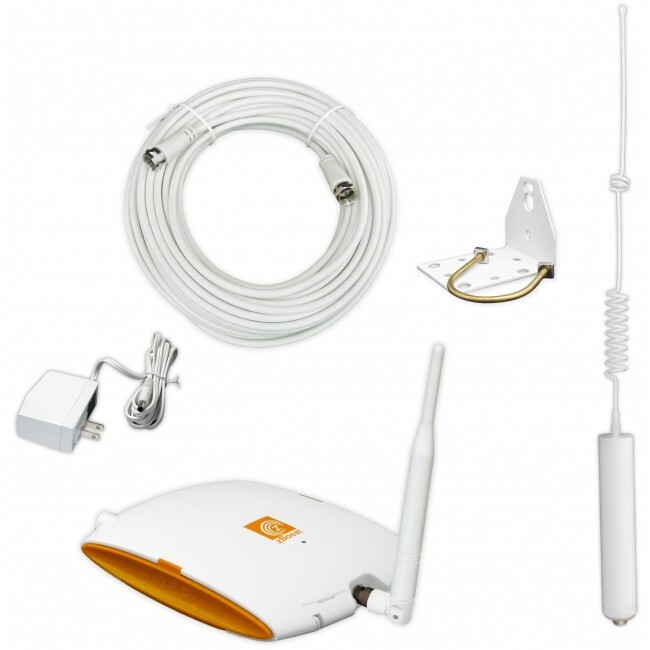 The zBoost dual YX545 & YX550-ALTE-AWS kit has two installation methods using either one or two outside antennas. Using a single outside antenna makes installation easier, but will result in a signal that is half as strong being fed into each amplifier, so it it not recommended in situations with a weak existing signal. Using a single outside antenna will give you up to 1500 sq ft of coverage area inside, depending on the existing outside signal strength. The other option when installing this system is to use two outside antennas. For this installation method, you need an additional coax cable (sold separately). The advantage is that each amplifier will get 100% of the signal available resulting in a coverage area of up to 2500 sq ft, depending on the existing outside signal strength. To install this kit using a single outside antenna, start with the antenna that was included with the YX550, not the one that came with the YX545. Mount the YX550 antenna in the area where you get the best signal, typically high on or above your roof. Keep in mind, if your best signal is 1 bar, your coverage will be limited to one small room. The zBoost amplifiers require at least 15 ft. of vertical separation between the outside antenna and the inside unit. Increasing the distance, up to 40 ft, can help improve performance. Run the included RG-59-Mini cable from the antenna down and into the middle of the space where you need the boosted signal. For best results, we recommend replacing the included RG-59-Mini cable with a Low Loss RG-6 coax cable. Attach the signal splitter to the other end of the cable and then attach each amplifier to one side of the splitter using the included jumper cables. Attach the inside antennas to the front of the amplifiers and then plug in each amplifier using the included AC adapters. To install the system using two outside antennas, you'll need one additional coax cable, sold separately. We recommend the Wi-Ex 50 ft. Low Loss RG-6 Coax Cable. For best results, get two RG-6 cables so that you can also replace the included RG-59-Mini cable which will give you a larger coverage area and stronger signal inside. Even though the outside antennas that come which each amplifier look similar, they are in fact different so do not mix them up! Mount both antennas in the area where you get the best signal, typically high on or above your roof. Keep in mind, if your best signal is 1 bar, your coverage will be limited to one small room. The zBoost amplifiers require at least 15 ft. of vertical separation between the outside antenna and the inside unit. Increasing the distance, up to 40 ft, can help improve performance. Run the coax cables from each antenna down and into the middle of the space where you need the boosted signal. Attach each cable to the correct amplifier. Attach the inside antennas to the front of the amplifiers and then plug in each amplifier using the included AC adapters.